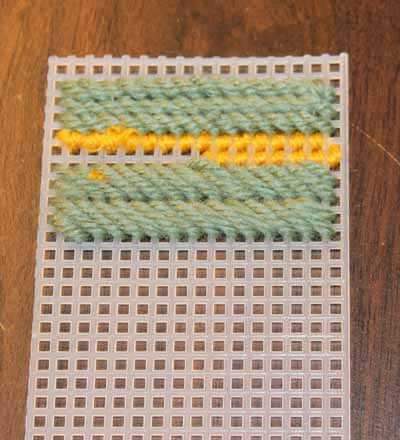 Learn how to end the yarn when stitching with plastic canvas. 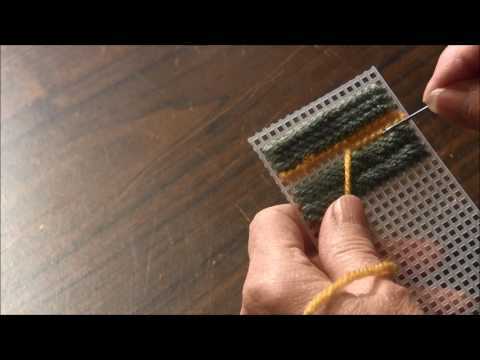 Watch this video to see different ways to end the yarn or thread. Click to watch the How to End Yarn (Plastic Canvas Basics) video in Youtube. To finish off a color, to end yarn or when stitching area is completed, DO NOT USE A KNOT. The back of the plastic canvas should look neat with no knots or loose ends. The following example and the example above show how the back of the canvas should look when yarn or thread is anchored properly. 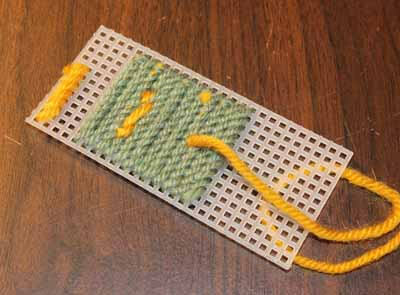 Plastic canvas is a fun form of needlework which allows you to make two-dimensional projects such as coasters, magnets, door hangers, wall hangings, keychains and bookmarks. 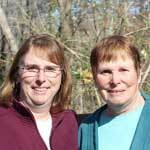 And three-dimensional projects such as tissue box covers, storage boxes, purses and more.